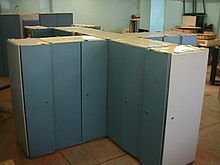 For many years Elbrus team has been involved in the design and delivery of many generations of the most powerful Soviet computers. It has developed computers based on super-scalar, shared memory multiprocessing and EPIC architectures. The main goal has always been to create a computer architecture which is fast, compatible, reliable and secure. Main technical achievements of Elbrus Line computers designed by the team are: high speed, full compatibility, trustworthiness (program security, hardware fault tolerance), low power consumption and dissipation, low cost. Elbrus-1 (1979): a super-scalar RISC processor with out-of-order execution, speculative execution and register renaming. Capability-based security with dynamic type checking. 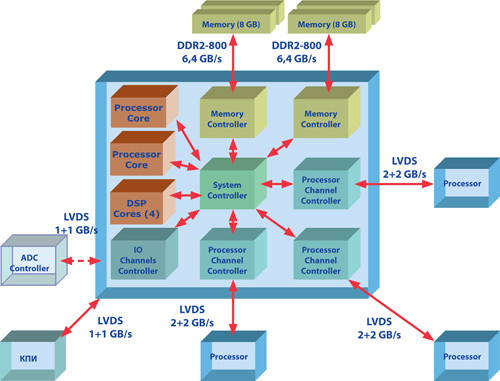 Ten-CPU shared memory multiprocessor. Elbrus-2 (1984): a ten-processor supercomputer. Elbrus-3 (1991): an EPIC based VLIW CPU. Sixteen-processor shared memory multiprocessor. Elbrus-90micro (1998-2000): SPARC instruction set architecture (ISA) microprocessors MCST R80, R150, R500, R500S and MCST-4R working at 80, 150, 500 and 1000 MHz. 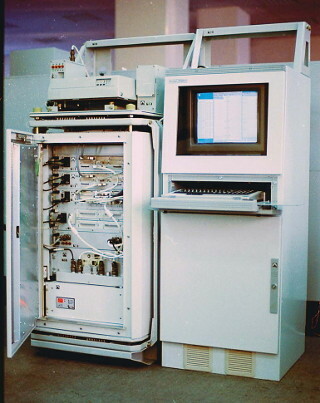 Elbrus-3M1 (2005): a 2-processor computer based on Elbrus 2000 microprocessor employing VLIW architecture working at 300 MHz. It is a further development of the Elbrus-3. Elbrus МВ3S1/C (2009): a ccNUMA 4-processor computer based on Elbrus-S microprocessor working at 500 MHz. Monoblock-KM4 (2012): an Elbrus-2C+ dual core 512-bit VLIW microprocessor running at 500 MHz, which includes 4 digital signal processor (DSP) cores. Our approach is ExpLicit Basic Resource Utilization Scheduling – ELBRUS. Elbrus instructions fully and explicitly control all hardware resources for the compiler to perform static scheduling. Thus, Elbrus instruction is a variable size wide instruction consisting of one mandatory header syllable and up to 15 optional instruction syllables, each controlling a specific resource. Elbrus approach allows most efficient design of main data path resources (execution units, internal memories and interconnections without limitations from analysis scheduling hardware). This logic supports 25-30% better clock frequency compared to existing most advanced microprocessors. Elbrus security technology solves a critical problem of today – network security and full protection from viruses on the Internet. Besides, it provides a perfect condition for efficient debugging and facilitates advanced technology for system programming. The principle for security is extremely simple: “You should not steal”. For information technology it implies that one should access only the data which one has created himself or which has been given to him from the outside with certain access rights. All data are accessed through address information (references, pointers). If pointers are handled properly, the above said is valid and the system is secure. Unfortunately, it is impossible to statically check pointer handling correctness without imposing undue restrictions on programming. For full, strong and efficient dynamic control of explicit pointer handling with no restrictions on programming, HW support is required. This is what Elbrus provides. To avoid pointer check problems, Java just throws away explicit pointer handling. This makes the language non-universal and still it does not exclude the need for dynamic checking (e.g. for array ranges). C and C++ include explicit pointer handling, but for efficiency reasons exclude dynamics checks totally, which results in insecure programming. Elbrus hardware supports dynamic pointer checking. For this reason each pointer is marked with special type-bits. This does not lead to the use of non-standard DIMMs. By this way, perfect memory protection and debugging facilities are ensured. Using this technology we can run C and C++ programs in a fully secure environment, and Java becomes much more efficient. To use these ideas in the file-system and Internet areas, C and C++ need to be extended by introducing special data types – file or directory references. Now we can pass file references to the downloaded program, without providing access to the file-system root, full security is ensured. E2K is fast, compatible, reliable and secure. It is a real Internet oriented microprocessor. Source: Euro-Par 2000 Parallel Processing; 6th international Euro-Par Conference Munich, Germany, August/September 2000 Proceedings.